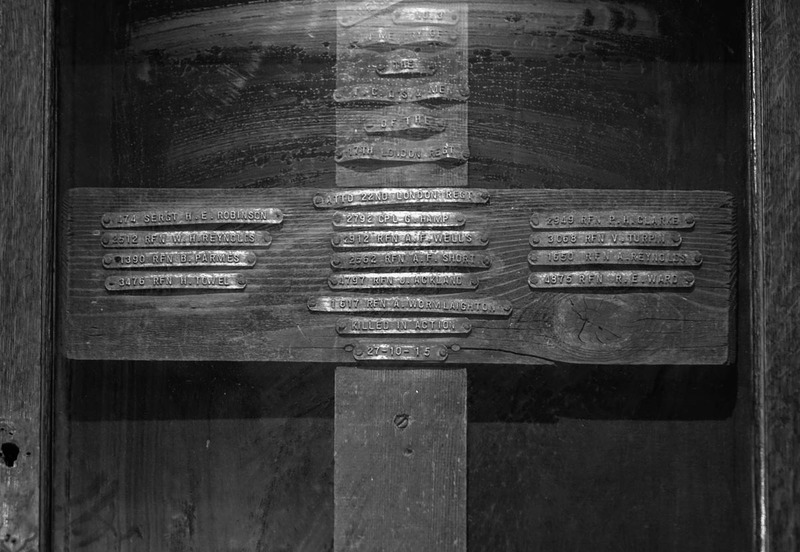 Cross dimensions (millimetres please) Unable to measure as locked in cabinet. Mounting to wall: Enclosed in locked glass fronted frame that is fixed to wall. Evidence of use in field (earth marking, cracking, staining, shrinkage): Difficult to say as piece of wood nailed to the bottom obscuring evidence of use in ground. Finish (varnish, paint, oiled, unfinished etc): Looked unfinished. Condition (cracked, paint peeling, woodwork, damage etc): Overall, seemed good. 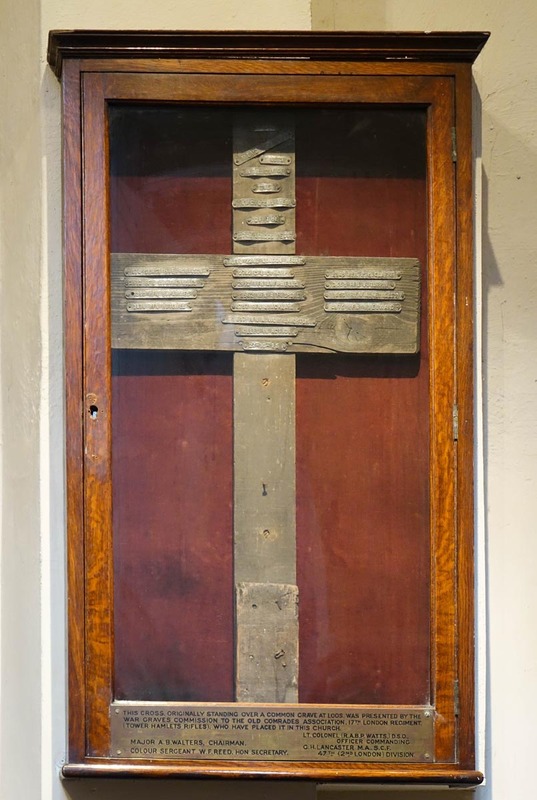 “This cross originally standing over a common grave at Loos was presented by the War Graves Commission to The Old Comrades Association 17th London Regiment (Tower Hamlets Rifles) who have placed it in this church. 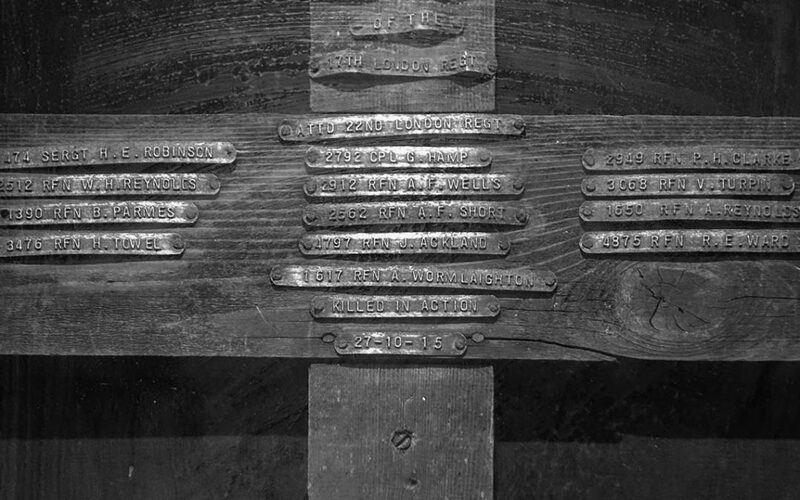 The cross was originally given to a nearby church (St. Stephen’s?) 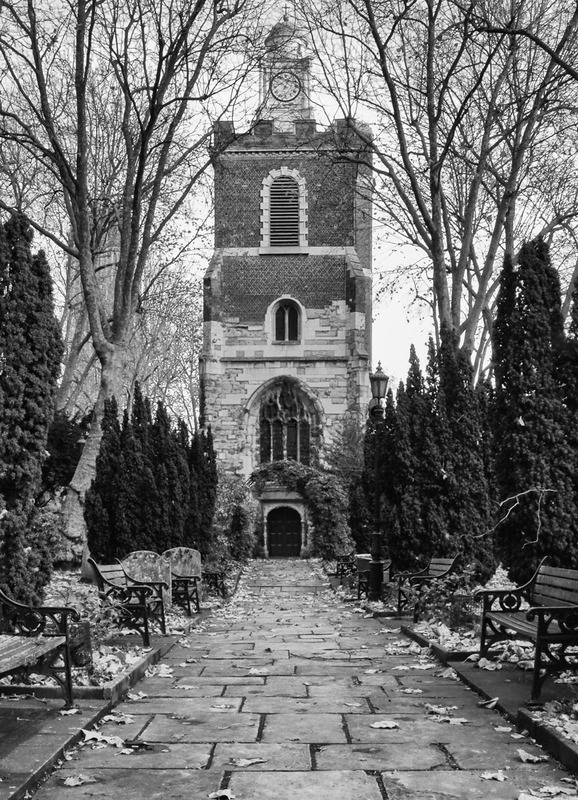 which was the battalion church for the 17th London Regiment.. 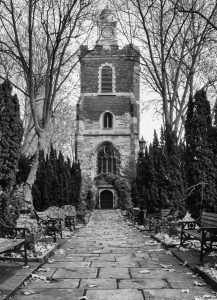 This was destroyed in the Second World War and the cross was moved to St Mary and Holy Trinity, Bow. 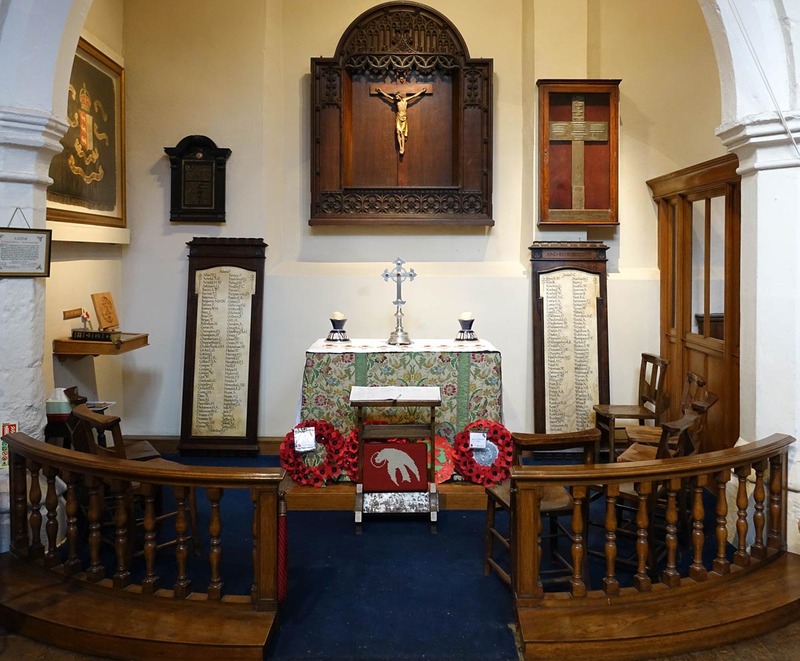 Cross on left hand side immediately as you enter the church along with two other panels (also from another church) and to the left of this alcove is the War Memorial for those parishioners from St. May and Holy Trinity that were killed in the war(s).